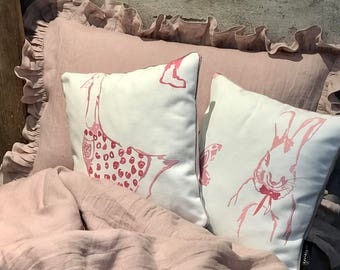 'Sauvage' is combining of shabby chic and perfect quality of workmanship. 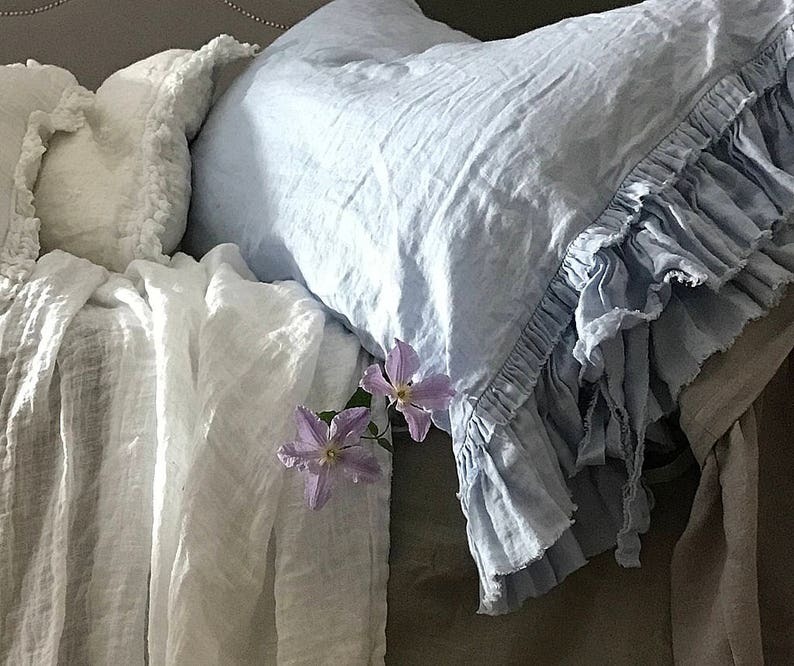 High quality linen fabric, very light weigh and add stone washed with cute frayed ruffles and french stitched finish make it fabulous for every shabby chic style bedroom. LIMITED EDITION!! This unique pale blue shade of very light pure linen fabric I have in limited quantity. 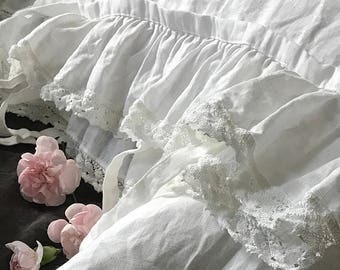 Description: pre-washed light weigh 100% linen fabric; double frayed ruffles on the open side (double ruffles on the left and right open side of the pillowcase); one pair of decorative frayed fastening ties. Beautiful, just so feminine. Colors perfect. Received my pillow cases yesterday. They are absolutely beautiful! Can't wait to see how beautiful they look on my bed!!! !